How long does it take to travel from Hythe to Dungeness? The full length of the line is 13½ miles, on a Green or Pink timetable this will take approx. 1hr 5mins one way. You can break your journey at our other stations until you reach your ticket destination. Where can I alight from the train? 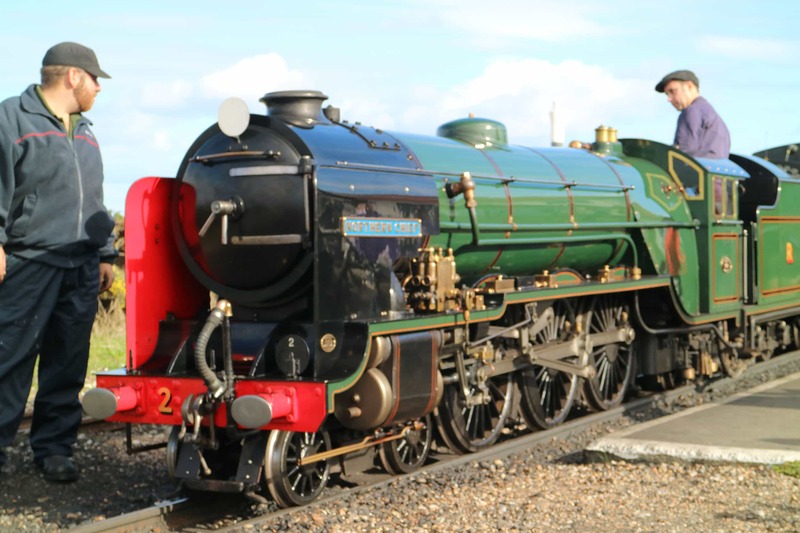 You can alight at Hythe, Dymchurch, New Romney, Romney Sands and Dungeness. St Mary’s Bay is a request stop so please inform a member of station staff before boarding if you’d like to alight there. Romney Warren is available on some special event days and for some pre-booked groups. Yes. However dogs are not allowed in our cafes and restaurants or in the Model Exhibition at New Romney. I use a wheelchair/mobility scooter; can I get on the trains? Each of our trains has at least one coach specifically designed to take wheelchairs and small mobility scooters. To reserve a space please call 01797 362353. Do you have parking bays for the disabled? Yes, there are a number of spaces marked for the disabled at Hythe, New Romney and Dungeness. We are able to take a few bicycles on the train for a flat rate of £2 per bike in addition to your travel ticket. I’m coming by train from London. How do I get to Hythe Station? Travel from London to Folkestone Central. Trains comes from either Charing Cross or St Pancras (HS1). At Folkestone Central exit the station, go under the railway bridge and cross the road to the bus stop opposite. You can then catch a No.16 bus which stops in Dymchurch Road in Hythe, around the corner from our station. Buses back to Folkestone Central leave from outside our station. Only the No.16 bus goes to Folkestone Central, others require a change a Folkestone Bus Station or a 10 minute walk to the station. You can also alight at Sandling Station for a 2.5miles easy walk to Hythe Station. Please note the walk is not suitable for baby buggies and includes steps.